Manufactured by: Blackwater Creek Koi Farms, Inc.
We produce many beautiful and unique goldfish varieties that we're anxious to share with you! We have created this new item, Pick Your Goldfish Variety, as a way for you to pick and choose which specific varieties of our great goldfish you get! A Pick Your Goldfish Variety package from Blackwater Creek will get you 7 goldfish in the specific varieties you’re looking for. Want 2 Shubunkins, 1 Watonai, and 4 Calico Wakins? Of course! Or maybe you’d prefer 4 Sarasa Comets and 3 Red and White Hibunas? No sweat! 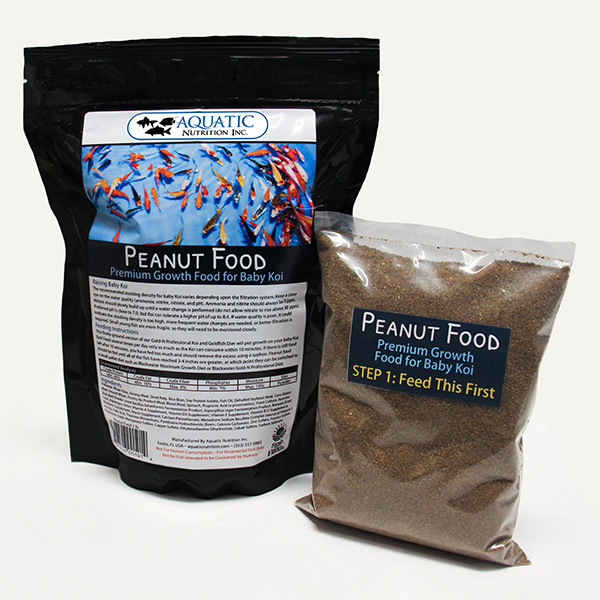 Whichever mix you want, you can now get exactly which varieties you want in your pond or aquarium. 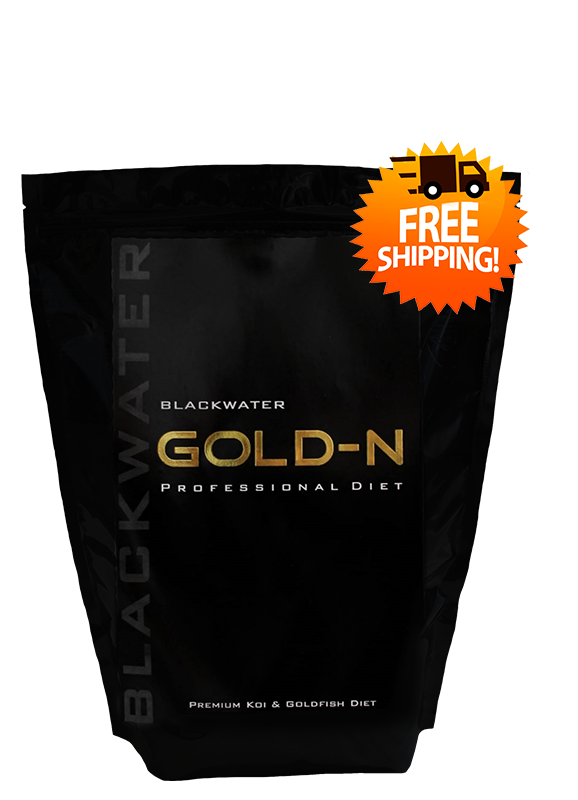 We will pick the nicest and largest examples that we currently have available of your chosen varieties for you. For $289.99 (with FREE SHIPPING) you will get a great group of 7 goldfish ranging in size from 4-10”, and you get to pick and choose exactly which varieties you want. Your customized selection will be carefully hand-picked for quality by our team of Koi and goldfish experts. Please remember that every goldfish is different and unique. The goldfish you receive may not look exactly like the ones pictured, but they will be the best examples of the varieties you chose that we currently have available. Because these goldfish are available in very limited quantities, you may not pick and choose which example photo you want your fish to look like. At times, we may have only 1 fish available of a given variety. Please keep this in mind when ordering multiples of the same variety. In the case that we only have 1 of a given variety available, we will contact you to help you select a suitable replacement variety(s). In the event that you order a variety we recently ran out of, we will call you to confirm what you'd like to swap it out with. 1. Look through the variety photos and descriptions below to help you decide which ones are your favorite. 2. Scroll all the way to the bottom and type in the number of fish you'd like from each variety. Remember, you may only select 7 fish! 3. Click "Add to Cart", finish checking out online, and wait for your beautiful box of fish to arrive very soon! 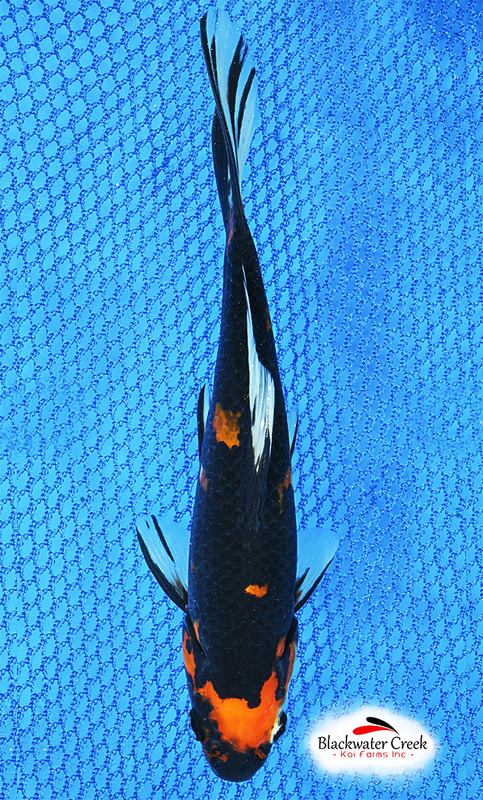 These striking goldfish have various markings of ebony black against a powder blue background. This category may include Comets, Hibunas, Wakins, Watonai, or Shubunkin. Elongated body with a double tail like a fancy goldfish. They typically are red and white in color, but we've had luck producing them in the calico color too. They typically have a bright red color and they’re very elegant looking with their slim body and elongated, trailing fins. Also called a "common goldfish", these are far from common! They have a bright red color and strong, sturdy bodies. Great pond fish. Also called a "common goldfish", these are far from common! They have a bright red and white color pattern and strong, sturdy bodies. Great pond fish. Elongated body with a double tail like a fancy goldfish. They have a bright red and white color pattern and are beautiful in both ponds and aquariums. These shubunkins have a nice matte base with a few metallic scales and a sky blue wash that colors their bodies. Some have small black or red markings as well, but the bright sky blue color is their defining characteristic. They have bright red and white varied color patterns and are very elegant looking with their slim body and elongated, trailing fins. 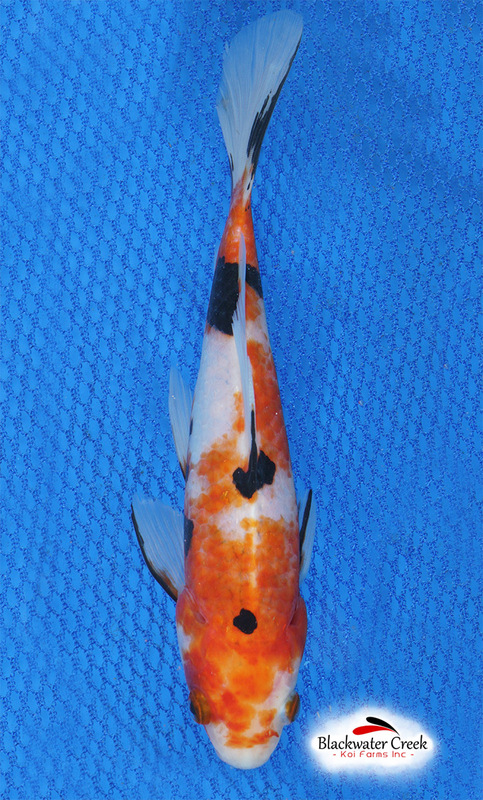 This "calico" goldfish has patterns which consist of a white and powder blue base overlaid with big blocky orange or red spots and smaller black speckles. Go back to the top of the page and type in the number of fish you’d like from each variety. Remember, you may only select 7 fish! Tangerine Sanke Gold Goldfish 8"
Baby Koi Peanut Food 2 lb. Kit Free Shipping!